There are an estimated 115 different species of pine trees and as one would expect, each type has slightly different pine cones. 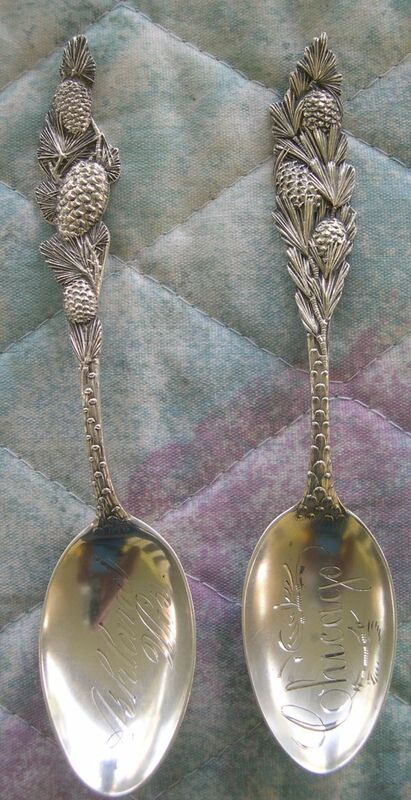 As you can see we have two different varieties of pine cones featured on these spoons. 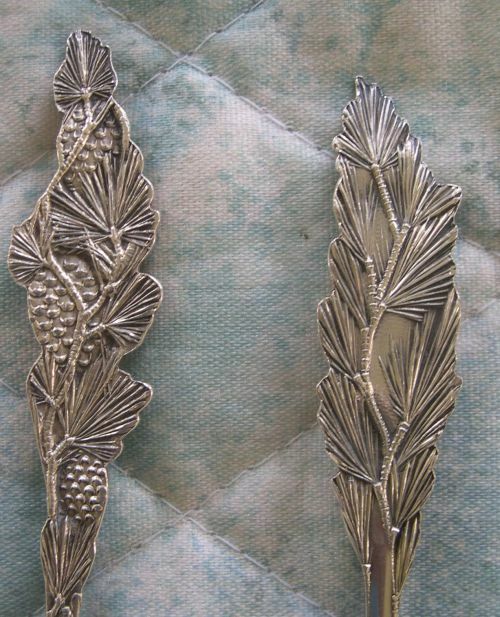 The bowl of this spoon is engraved "Chicago"